The Packers have taken one more step on the road to the Super Bowl by beating the #1 seed the Dallas Cowboys with a field goal as time expired! It was a great game to watch. We had a tremendous crowd and filled the entire Mustard Seed with Packer fans! It was a lot of fun for all Packer fans at the Mustard Seed! With that said…….IT AIN’T OVER YET!!!!!! Next step is heading to take on the Atlanta Falcons! We went there in 2010 and played incredible and I believe that we can do that again! Check out the photo from this past Sunday’s game vs the Cowboys. Here is what you need to know about this Sunday’s playoff game against the Atlanta Falcons. We do recommend arriving about one hour prior to kick off to allow you to get your seating of choice! 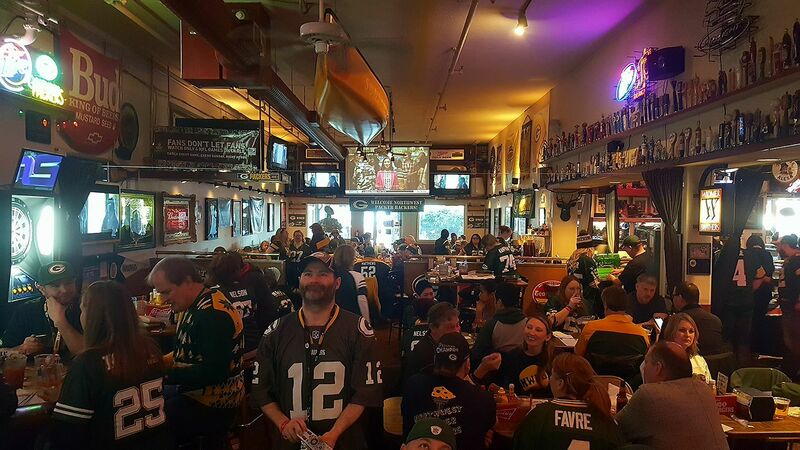 We will accommodate as many Packer fans as possible and we expect all Packer fans to be gracious and thoughtful to the Mustard Seed staff and other patrons! Ken does an awesome job providing us a great game day experience at the Mustard Seed for all of us Packer fans to enjoy! Please see below! GO PACK! 1) We are the only playoff game starting at 12:05 pm kickoff. There will be plenty of seating available and recommend arrival time about 11:30 AM for the game. We look forward to all of you who do join us at Cheers while the Packers are continuing to play in the playoffs. Reminder there will be a club member drawing today! GO PACK GO! If any Sponsor/Club Member or Packer fan has any questions, please do email us at nwpackerbackers@gmail.com and we look forward to seeing you all! GO PACK!